Seventy years ago this month, as World War II raged, American and Swedish officials came to the aid of the last surviving Jewish community in Europe. The decision to send active assistance to the besieged Jews of Hungary was made very late. US president Franklin Roosevelt had ordered the creation of the War Refugee Board only in January 1944. But once it was established, its representatives moved quickly to reach out to neutral countries like Sweden to find ways to render urgently needed help. My uncle, Raoul Wallenberg, was ready to answer the call to action. And it is thanks to this readiness to join forces against evil, across national boundaries and against ordinary thinking, that tens of thousands of Budapest’s Jews were saved. In 1944, Raoul was sent on a dangerous mission without any adequate protection, formally representing his country and, indirectly, also the US. Yet, once he disappeared, there was no authoritative voice that stood up for him in the way that he had done for others. In 1984, in a daring move, he sued the Soviet Union in a US court. My father won in the first round, and the presiding judge ordered the Soviet government to immediately provide information about Raoul’s fate and to pay $39 million in restitution. The verdict was later set aside, however, over US government fears that its execution would negatively impact US-Soviet relations. Since Raoul was nominally a Swedish citizen, the US, unfortunately, chose to stay largely in the background of the search for clues to his fate. It is perhaps worth noting that it took a full six years after Raoul’s disappearance before Sweden formally approached the US government for help. It is also a fact that over the next six decades Swedish officials repeatedly rejected American offers of assistance in the case. Regrettably, when my grandmother, in utter desperation, turned to secretary of state Henry Kissinger in 1973, he declined to take any action, apparently angered over the leftist, anti-American policies of the Olaf Palme government. Eight years later, president Ronald Reagan made Raoul an honorary citizen of the US – a remarkable turn of events that my grandparents did not live to see. They ended their lives, exhausted and dispirited, in 1979. A 10-year investigation of an official Swedish-Russian Working Group that followed yielded many important results but could not answer the central questions in Raoul’s case: Why did Stalin decide to arrest him and why was he never released? And what happened to Raoul in the crucial summer of 1947, when his trail breaks off in Lubyanka Prison? In 2001, my father’s application for Raoul’s formal rehabilitation was granted [in Moscow.] Since then, researchers have continued our family’s search and have kept up a constructive dialogue with Russian authorities. Unfortunately, as was the case during the 1990s, Russian officials have consistently refused access to key documentation, especially highly relevant files kept in the archives of Russia’s intelligence and security services, as well as collections that could reveal much needed information about how the Soviet leadership assessed Raoul’s case through the years. 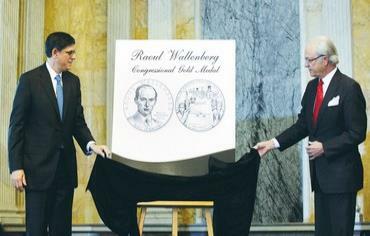 In 2009, important evidence emerged that as far back as 1991, essential documentation in the Wallenberg case had not been shared with researchers or our family. This material shows that Raoul may have been held as a numbered prisoner – “Prisoner No. 7” – in Lubyanka Prison, on July 23, 1947, six days after the official Soviet and later Russian version of his alleged death (on July 17, 1947). We have often wondered why there has not been a more serious effort to press the Russian government for access to highly relevant collections. It is quite obvious that if researchers were empowered to do their jobs, important progress regarding the core questions in the Wallenberg inquiry could almost certainly be made. For us, other question marks persist: What exactly have Russian and Swedish decision makers known about Raoul’s fate and when did they know it? And do they possess knowledge today they have not shared with the public? Frankly speaking, it has been quite disheartening to see that official representatives – those who have the power to act – have been seemingly content not to explore all options available to them. When our family turned to President Barack Obama in 2013, to ask for his assistance in urging Russian President Vladimir Putin to provide direct and uncensored access to key documentation, we were told once again that “the time was not right” for confronting Russia. And so we have gathered once again in Washington, DC, this week, to honor Raoul’s achievements and the proof he represents that the good in us can overcome any evil, no matter how vicious, if we put our hearts and minds to it. Raoul understood one fundamental thing very well – that “human rights” is not just simply a general term. To borrow a phrase from the US religion scholar Cornel West, meaningful assistance to human beings in need has to be hands-on, it has to be “tactile.” It cannot ever remain merely theoretical or cerebral. In the hell that was Budapest in 1944, against seemingly insurmountable odds, Raoul found a way to be effective. He was a true visionary, who did not take no for an answer. Have felt that even though in today’s complex world the choice between “lesser” evils often seems to be our only option, we should be careful not to forget to strive for the “ideal” outcome. We, the citizens of democratic societies, he argued, have to maintain a constant vigil to stay true to our declared humanistic and democratic principles. Raoul’s mission to Budapest was precisely that: true humanistic philosophy in action. He left behind his comfortable life in Sweden, and he threw himself into the task of making this very concept a reality. For that, he not only richly deserves the honors that have been showered upon him, but he also deserves something more: He deserves justice. Raw courage, both physical and moral, is Raoul’s true legacy. His work in Hungary graphically illustrates that if we want to effect change, if we want to oppose tyranny, we have to raise ourselves up – literally – and fight against it. Next January, 70 years will have passed since he left, on a cold January morning, to meet with Soviet representatives in order to ensure that the Jewish safe houses he and his colleagues had established would be respected and protected.